Hire your new employees tomorrow! 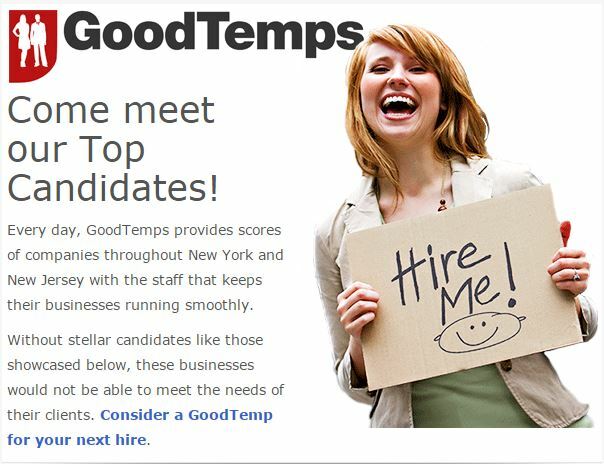 Learn more about the GoodTemps mission and our skilled job seekers, or if you're looking to hire, tell us about your needs by calling (212) 986-9566. We can have your new employee at your door by tomorrow. Contact us today!